Some of the Landis siblings: from left, Patrick Landis, John Landis, Scott Landis, Chelsea Landis, and Ryan Landis. A man who survived the crash of a small plane that killed his brother, the pilot of the aircraft, is paralyzed and may never walk again, according to a spokesman for the men’s family. Patrick Landis, 29, remained in critical condition at Tufts Medical Center on Sunday, according to a hospital spokeswoman. “He’s going to be paralyzed from the waist down for life, and he’s still got a lot of internal injuries, a spinal injury, too many broken things to list,” said Adam Proulx, the family spokesman. Patrick’s brother, Scott Landis, 34, died Friday night after the Aeronca 7AC Champion went down about 4:15 p.m. near Cranland Airport in their hometown of Hanson, according to the Plymouth district attorney’s office and the Federal Aviation Administration. The brothers had taken off Friday afternoon in a plane borrowed from a friend to spread the ashes of their father — Richard Landis, 70, who died earlier this month — over the family home. Landis family members at Patrick’s bedside said Sunday morning that he had opened his eyes and was able to squeeze their hands and interact with them, Proulx said. “Doctors have told the family that he’s in for recovery on the order of a year or more to get back to some sense of normalcy, aside from being paralyzed,” Proulx said. Proulx, who has been friends with Scott Landis since high school, said he has been beside Scott’s widow, Staci, since the crash and has spent time with Scott’s mother, Donna, who is grieving the loss of both her husband and her son. Funeral arrangements for Scott have not yet been made, Proulx said. “We’re in the very beginning stages of that part of this ordeal,” he said. Scott Landis joined the Massachusetts Army National Guard in May 2001, according to Lieutenant Colonel Lisa Ahaesy, a spokeswoman for the guard. He was an instructor pilot assigned to A-Company of the 3rd Battalion, 126th Aviation Regiment at Joint Base Cape Cod, Ahaesy said in an e-mail on Sunday. He had been awarded with medals for his service in Iraq and Afghanistan, had received the Air Medal twice, and had earned several other commendations, Ahaesy said. 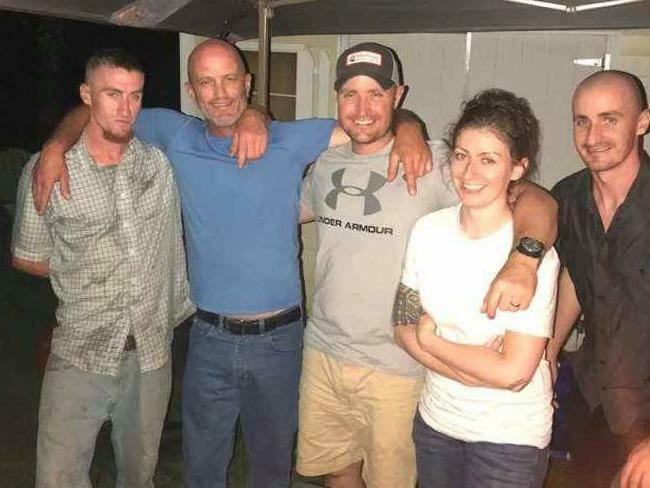 He was deployed to Kosovo in January and had returned home to Hanson on leave to be with his father in his final days, friends and relatives said. A GoFundMe page set up to help support Scott’s widow and their 1-year-old son, Jack, had raised nearly $35,000 by Sunday afternoon. A separate fund-raising page for Patrick Landis had raised more than $4,000. The National Transportation Safety Board and the Federal Aviation Administration said Friday that the agencies will investigate the crash. A spokesman for the NTSB, which is leading the investigation, said Sunday that it would release a preliminary report within 10 days. Richard Landis’s ashes were recovered from the wreckage, Proulx said. Scott Landis was a member of a close-knit circle of pilots, many of them members of the Taunton Pilots Association, who flew and congregated at Taunton Municipal Airport and Cranland Airport, Proulx said.